Jan 8: The UN refugee agency, UNHCR, has said that 18-year-old Saudi national Rahaf Mohammed Al-qunun, who had been stranded at Bangkok airport after fleeing her family in Kuwait, saying that she would be killed if forced to return, was “now in a secure place”. In a statement on Monday, UNHCR said it had been following developments over the past 48 hours closely and immediately sought access from the Thai authorities to meet with her. 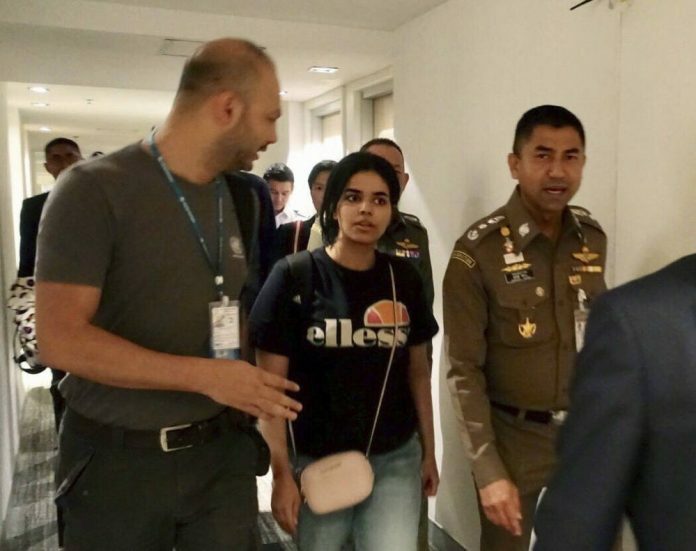 The young Saudi told human rights groups and the media over the weekend that she had been stopped at Bangkok airport in transit from Kuwait, where her passport was taken from her. She claims she was fleeing her family and was planning to head to Australia and seek asylum there. On Sunday, Ms Mohammed Al-qunun had barricaded herself in a hotel room to prevent the Thai authorities from deporting her back to Kuwait.